Healthy student ministries are kingdom expanding. They are evangelistic. In a healthy student ministry there will be students who meet Jesus and are rescued from their sin. 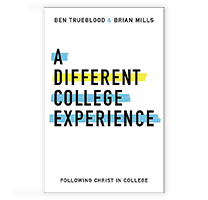 We have all heard this statement before: “The majority of people who meet Jesus do so before they graduate high school.” We have heard it so many times that it is almost cliché and ignored. Shame on us for that. The reality of student ministry is that you are called to one of the most fertile mission fields in the world as you minister to students and their families. While we must recognize that ultimately kingdom expansion comes through the work of God, there are some things that we need to realize about kingdom-expanding evangelism. 1. Modeled by the leader. For a student ministry to be kingdom expanding it must be in the heart of the leader. Students need to see this modeled. They will focus on what they see you doing far more than what they hear you saying. Kingdom expanding doesn’t happen from the stage only. Students need to see that your life is about making disciples (Mt. 28:18-20) in the strength and power of Christ (Col. 1:11). 2. More than church expanding. One temptation in student ministry is to be primarily about church expansion. We must be careful that our efforts are put into more than just drawing a crowd or growing our group. We must move that crowd (whatever size the crowd is) to an understanding of the gospel. Kingdom-expanding evangelism is much more than merely convincing children and students to pray a prayer or come forward during an invitation. Kingdom-expanding evangelism ensures that children understand the gospel and the reality that God invites us to respond to His grace. I have found consistently in student ministry that if I am faithful to the gospel and leading students to it, God will take care of the growth part Himself. After all, He is much better at growing things than I am. 3. Moving toward the nations. Kingdom-expanding student ministries help their students see and connect with God’s heart for the nations. God’s heart for the nations is clear throughout scripture. It is seen in through interactions with His own people, His plan for salvation, and His commands for us to continue the gospel story. When students leave our ministries we need make sure that they see beyond our towns and cities. We need to help them engage in taking the gospel to the nations early and often. Healthy student ministries are kingdom-expanding. It isn’t part of what they do in the same way that love isn’t a part of what God does. It is who they are. It is also not the only thing that they are. 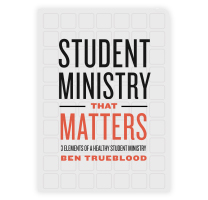 Join me next week as we take a closer look at how healthy student ministries are character transforming. 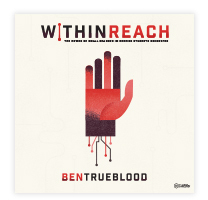 Ben Trueblood serves as the Director of Student Ministry for LifeWay Christian Resources and has served the local church as a student pastor for thirteen years. In addition to his role at LifeWay Ben is involved in training, consulting, and speaking to student ministries throughout the U.S.